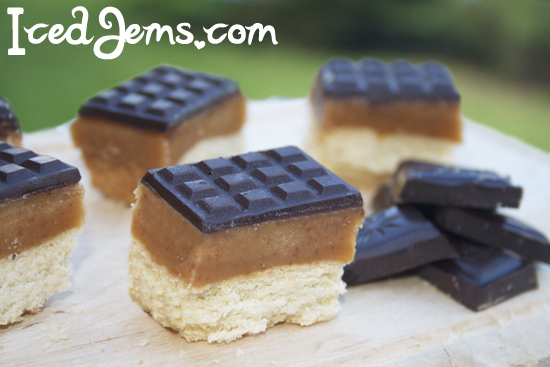 A super simple recipe for melt in your mouth Double Chocolate Millionaires Shortbread that doesn’t require any baking! 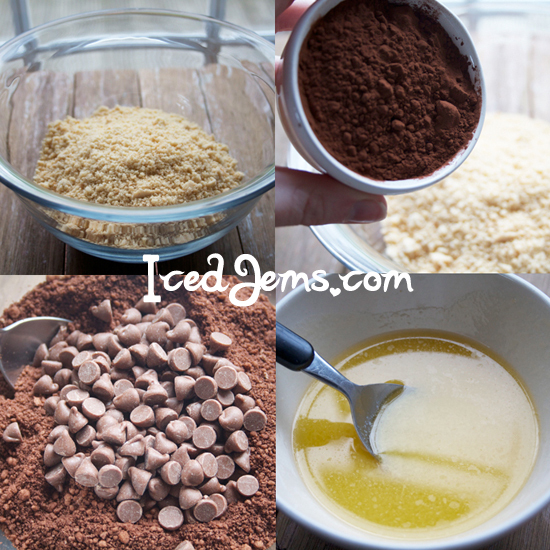 To make the chocolate biscuit base, first crush the Shortbread Biscuits into crumbs. 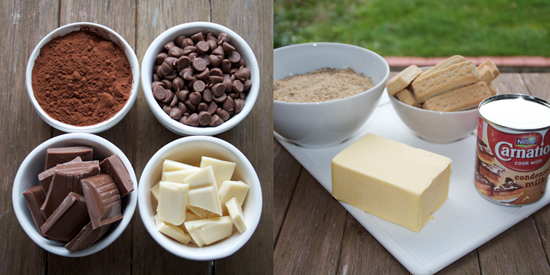 Then add the Cocoa Powder, Chocolate Chips and finally the Melted Butter. Mix it all together and it should look something like the mixture below. 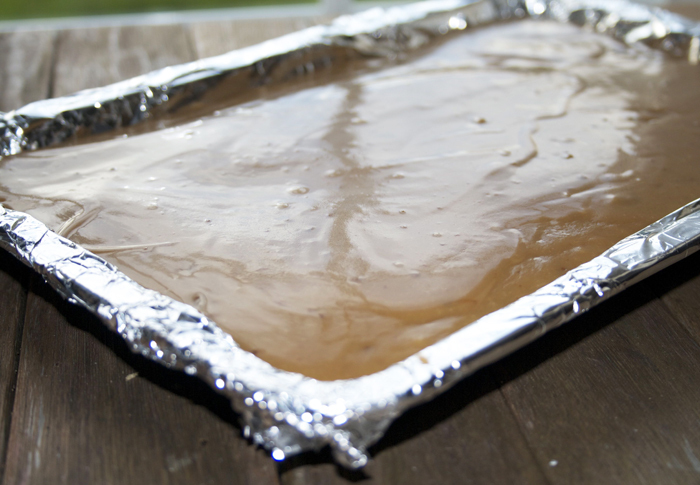 Transfer it to a lined baking tray and press down with the back of a spoon until you have a smooth, firm base. 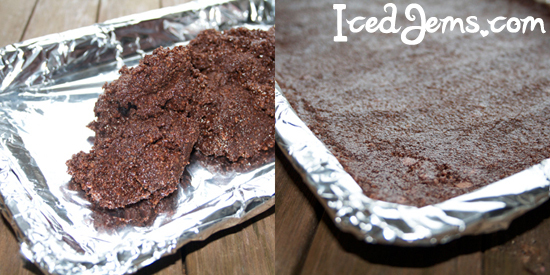 Pop your base in the fridge for about 30 minutes to set. 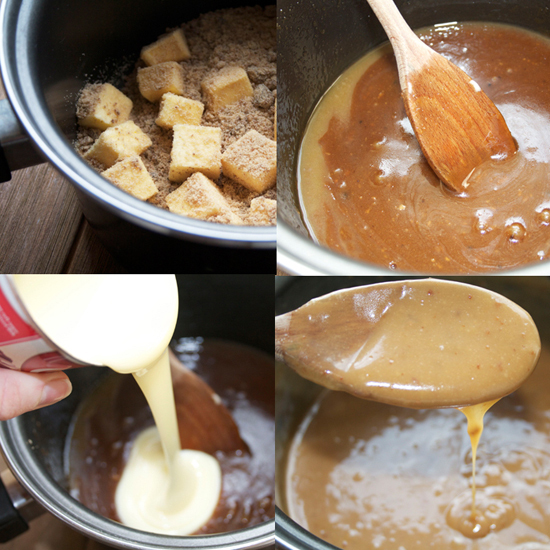 To make the Caramel Centre, melt the butter and sugar in a saucepan on a high heat. Then add the can of Condensed Milk and bring to a boil, make sure you stir continuously! 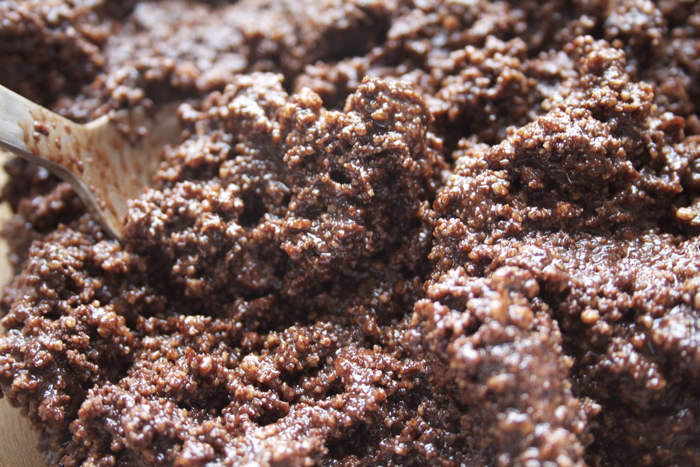 Once the Caramel has thickened slightly, remove from the heat and pour over your biscuit base. Transfer the tray to the fridge again form another 30 minutes. Now for the topping! 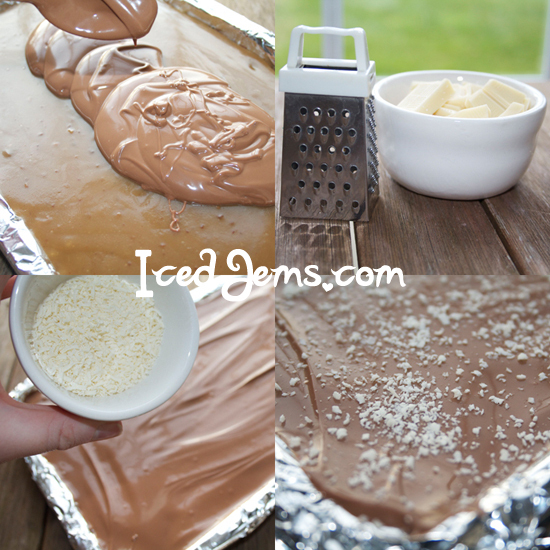 Melt the Milk Chocolate then pour it over the Caramel and spread to the edges using the back of a spoon. 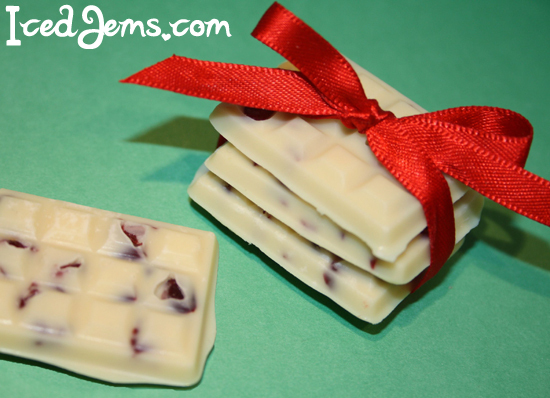 Grate your White Chocolate and then sprinkle over the Milk Chocolate before it has set. 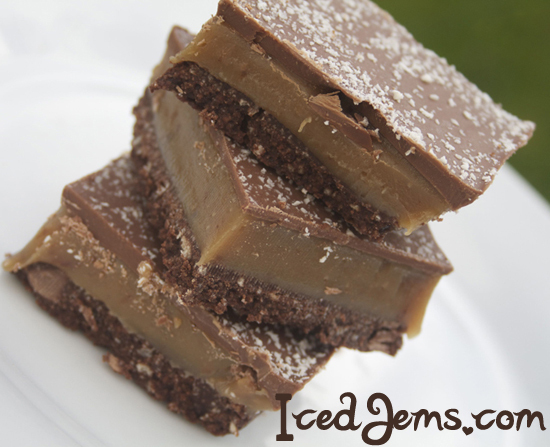 Return to the fridge for a final 10 minutes to allow the chocolate to set, then cut into squares and serve. So lovely, we have this instead of birthday cake in our house. 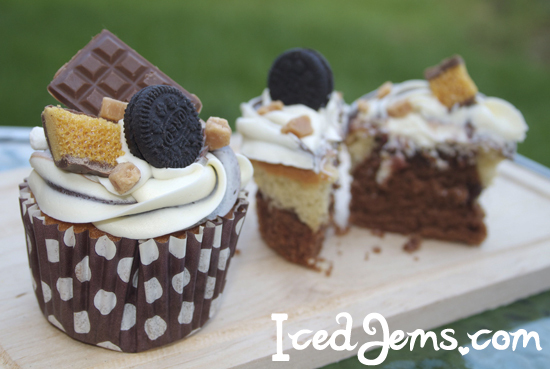 I think I found the recipe for my next dessert 🙂 Looks great Jemma!